Performers include: Eliza Taylor, Henry Ian Cusick, Paige Turco, Kelly Hu, Isaiah Washington, Marie Avgeropoulos, Bobby Morley, Thomas McDonell, Eli Goree, and Christopher Larkin. In this dramatic TV series, nuclear Armageddon decimated planet Earth some 97 years ago, destroying civilization. The only survivors were the 400 inhabitants of 12 international space stations that were in orbit at the time. Three generations have been born in space and the survivors now number 4,000. The 12 stations are linked together and repurposed to keep the survivors alive in an “ark” of sorts. .Unfortunately, resources are running out. Draconian measures including capital punishment and population control are commonplace now and the leaders of the Ark take ruthless steps to ensure their future. Those actions include secretly exiling a group of 100 juvenile prisoners to the Earth’s surface — to test whether it’s habitable. For the first time in nearly a century, humans have returned to planet Earth. 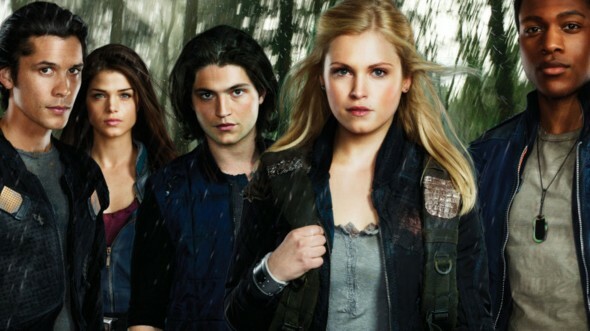 The most prominent 100 exiles are Clarke Griffin (Eliza Taylor), the bright teenage daughter of the Ark’s chief medical officer; Wells Jaha (Eli Goree), son of the Ark’s Chancellor; the daredevil Finn Collins (Thomas McDonell); and brother/sister duo Bellamy (Bob Morley) and Octavia Blake (Marie Avgeropoulos), whose illegal sibling status has always led them to flaunt the rules. Technologically blind to what’s happening on the planet below them, the Ark’s leaders — Clarke’s widowed mother, Councilwoman Doctor Abigail Griffin (Paige Turco), Chancellor Jaha (Isaiah Washington), and his shadowy second in command, Councilman Kane (Henry Ian Cusick) — are faced with difficult decisions about life, death and the continued existence of the human race. What do you think? Do you like The 100 TV series? Do you think it should be cancelled or renewed for another season? Love it can’t wait for the next season. I watch it on Netflix all the time. I also have it on DVD. We love this series Awaiting new season!! I just finished watching the entire show and OMG I love it… I cant wait for the next season!! !